Data and privacy experts from AIG, Barclays, CR Bard/BD, BlackRock, JPMorgan Chase, and others will share best practices for optimal information governance and e-discovery, GDPR compliance, reducing risks, and making better business decisions. The CGOC (Compliance, Governance and Oversight Council) today announced Data privacy and governance: A Global Framework for Information Governance, a one-day executive meeting designed for corporate leaders from IT, Legal, Privacy, Compliance, Security and Records Information Management (RIM) who are responding to internal and external forces requiring them to better protect data containing personal and sensitive information. Data and privacy experts from AIG, Barclays, CR Bard/BD, BlackRock, JPMorgan Chase, and others will share best practices for positioning their organizations for optimal information governance and e-discovery, complying with the impending GDPR, reducing risks associated with today’s information challenges, and making better business decisions. The meeting is open to and free for CGOC members only. Space is limited, so early registration is encouraged. To join the CGOC, visit http://www.cgoc.com. WHEN: March 21, 2018 from 9 a.m. - 4 p.m.
CGOC (Compliance, Governance and Oversight Council) is a forum of over 3,600 legal, IT, privacy, security, legal, records and information management professionals from corporations and government agencies. CGOC publishes reference guides and articles and conducts primary research. Its Benchmark Reports have been cited in numerous legal opinions and briefs and its ILG Leaders Guide has been widely referenced and adopted by organizations. 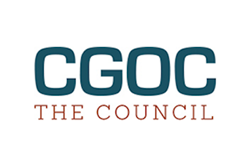 CGOC has been advancing governance practices and driving thought leadership since 2004. For more information go to http://www.cgoc.com.